At the inauguration of the Yagnaraman July Fest in Sri Krishna Gana Sabha, I was invited to speak about the pioneer of dance festivals who had served the sabha for fifty one years. YAGNARAMAN... the name denotes one who does a Yagam. He indeed has done Yagam for dance and music. A man of vision and fine taste. One can find many things to say about someone like him. Some people may think I am exaggerating. I follow what Rukmini Devi used to say. Do not find faults in greatness..... great people are also human... appreciate the good things and learn from their example. I have to begin with my personal association with Yagnaraman. I used to attend concerts here, particularly Lalgudi and MLV concerts. I got to know him then, and soon I was on this stage as Satyabhama in Krishna Parijatham, a Kuchipudi dance drama of Vempatti. The following year (1971), I invited him for a Bharatanatyam performance by me with Kanjivaram Ellappa conducting the inimitable Useni Swarajathi, and Charu (my sister) singing. Soon after that I was on this stage again, performing a Bharatanatyam recital. That was the true rasika in Yagnaraman. He invited me to dance without my even asking him for a CHANCE! So the connection became established and I think it was largely due to his impartial and objective appreciation of my classical style. I emphasize this because at the time, I was a radical. In fact NMN, the critic of the Hindu, even wrote a headline about my dance... “The traditional is radical!” I was doing the traditional Tanjore repertoire, which was rare, with the choicest Pada Varnams and Swarjathis, and the second half was replete with Padams and Javalis. Well, this was ideal fare for an elite... meaning evolved and blessed with good taste...audience. So to get a positive response for that style and repertoire was heartening. I was convinced I was on the right track with my dance regardless of the hype that some dancers indulged in to promote their rather loud experiments in those years. Within a few years of my debut in this sabha, I was surprised by being awarded the Nritya Choodamani. I was in the UK for the Brighton Festival and I got this aerogram from my mother telling me about the award. It was a lovely event. Presenting me the medal was Balasaraswati, presiding was Vyjayanthimala , and felicitating me with an awesome speech was MLV. Yagnaraman had pulled off a coup of sorts getting such luminaries together on the stage.....and for me it is an unforgettable magical event. Two years later, Yagnaraman launched the Natya Kala Conference. And I recall the good response. When he asked me to be the second Convener, he had an open mind and asked me to include not only the evening artists from out of town but whoever else I thought suitable at the all India level. So, for the first time doing lecture demos in Madras were Chandralekha, Astad Deboo, Singhajit Singh, and surprise....for the first time Kalakshetra demonstrating outside their campus! And then there was the Melattur group with some great singers like Subbaiyer, and dance notation by Koodiyattam expert Venu....all never heard or seen in Chennai. Yagnaraman’s personality and his tastes were typical of the Tanjore tradition. He also had the wit and subtlety of Tanjore. A family man, he took interest in everything.... for example, he himself chose for the ladies of his family their Deepavali sarees. He introduced Krishna Sweets to many including me. A typical Tanjore person is also particular in his or her tastes in orthodox cuisine. He was one such. 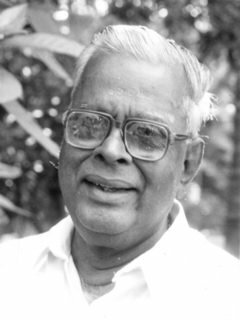 He enjoyed good writers and was a friend of many, like Bharanitharan and he appreciated my writings too. His passion for the sabha was unmistakable. He achieved what he set out to do without aggressive persuasion. He has had the good support of Nalli Chettiar, BVSS Mani, Obul Reddy and many others. They all helped him with their own love of the Arts and generosity. He presented Namasankeertanam long before it became common. Drama festivals, Nadhaswaram festivals, youth festivals and awards to go with them... he pioneered all of the above. He had a healthy camaraderie with other sabhas and their secretaries. Above all, he had a warmth and appreciative attitude towards artists. The Madras and now Chennai cultural scene owes a lot to the vision of a personality like Sri Yagnaraman.